Wow, I like this one, really cool! Must have taken some time to create it. 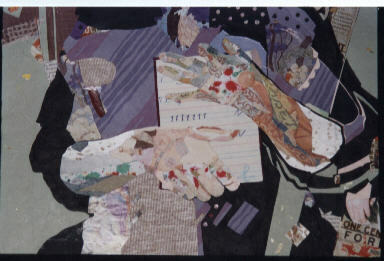 Thank you, Yes it did take some time but I was really into collage at the time. Interesting piece & beautifully done. I'm rather shy & nervous, so I really have to fight the urge to do this sort of thing. For years I didn't even realize I was doing it!